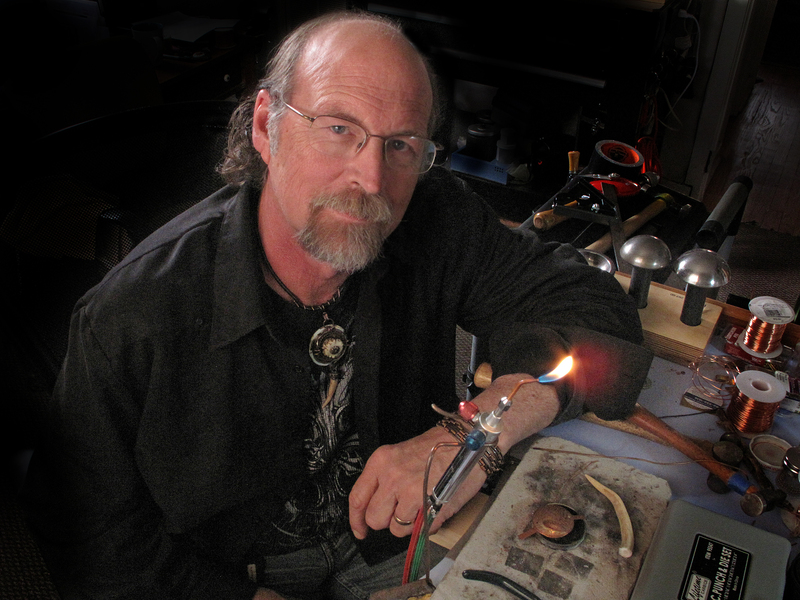 Richard Salley began working with metal in 1969 as an assistant to metal sculptor Malcom Moran in Carmel, California. His metal working experience turned to 'found object jewelry' after taking a workshop with Keith LoBue in 2002. Richard has recently retired from teaching in public schools to devote more time to his art and teaching workshops around the country. His interests include digital art, mixed media collage/assemblage, sculpture and jewelry. Richard's work has been featured in Belle Armoire Jewelry, Art Jewelry and Jewelry Artist magazines, Susan Lenart-Kazmer's book Making Connections, Steel Wire Jewelry by Brenda Schweder, Steampunk Style Jewelry by Jean Campbell and Metal Style by Karen Dougherty. Richard and his wife, Jane, live in Rio Vista, CA.